Keeping within this homeowner's budget, we were able to transform this master bathroom while still keeping the existing double vanity cabinet. She couldn't be more thrilled and you can see why. 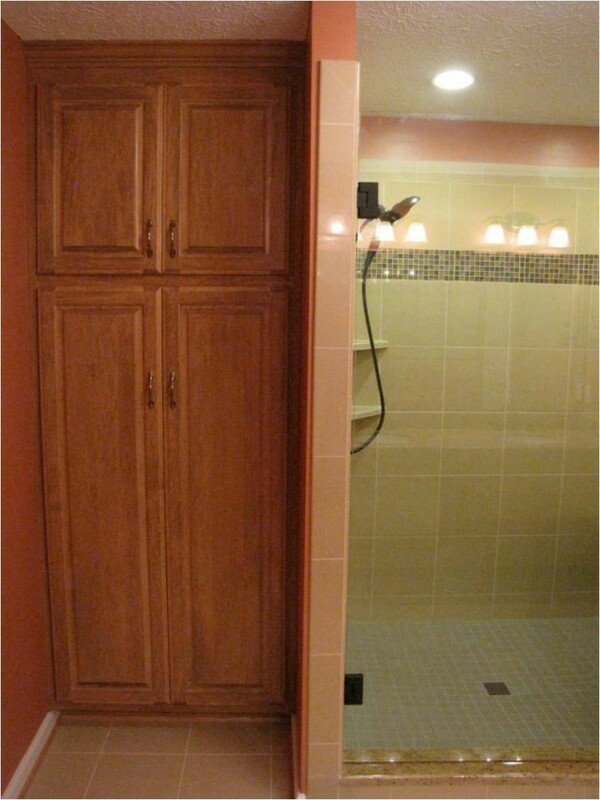 The new custom built linen closet is a beautiful match to the existing vanity cabinet- looks like it's always been there!